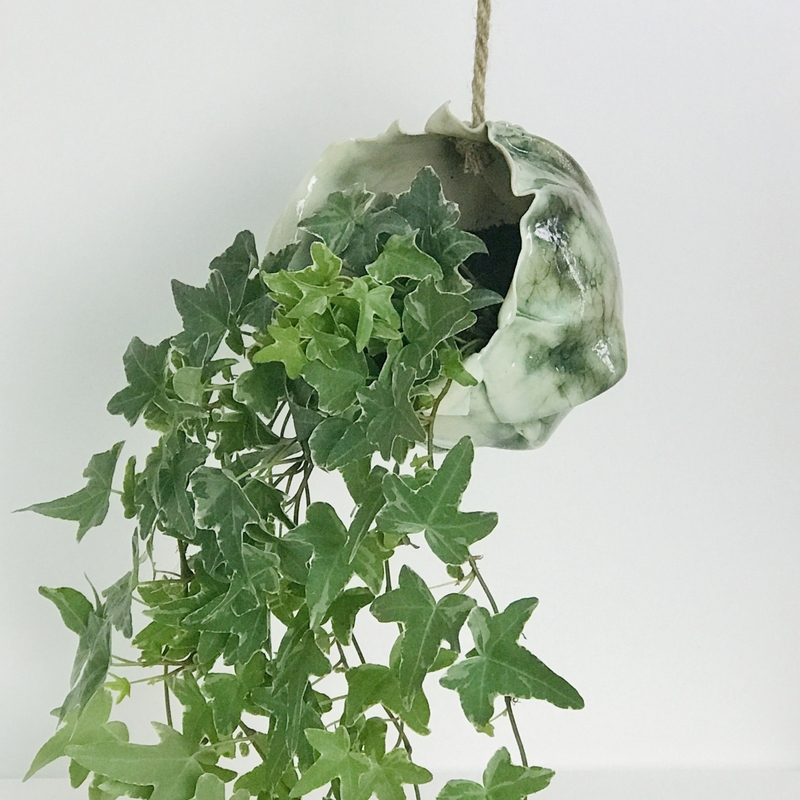 Sculptural porcelain plant nests, perfect for displaying your favourite household plants and orchids. This is a brand new collection so additional stock and colour options will be available by the end of May 2019. 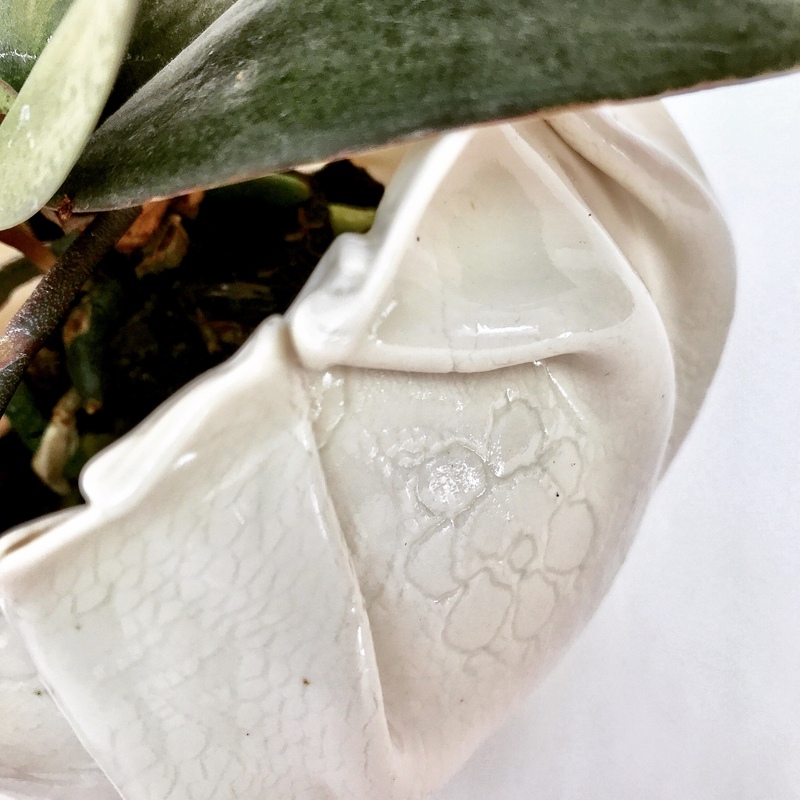 My Porcelain Plant Nests with an Embossed Finish are perfect for housing your tabletop plants. Orchids look particularly beautiful in them! 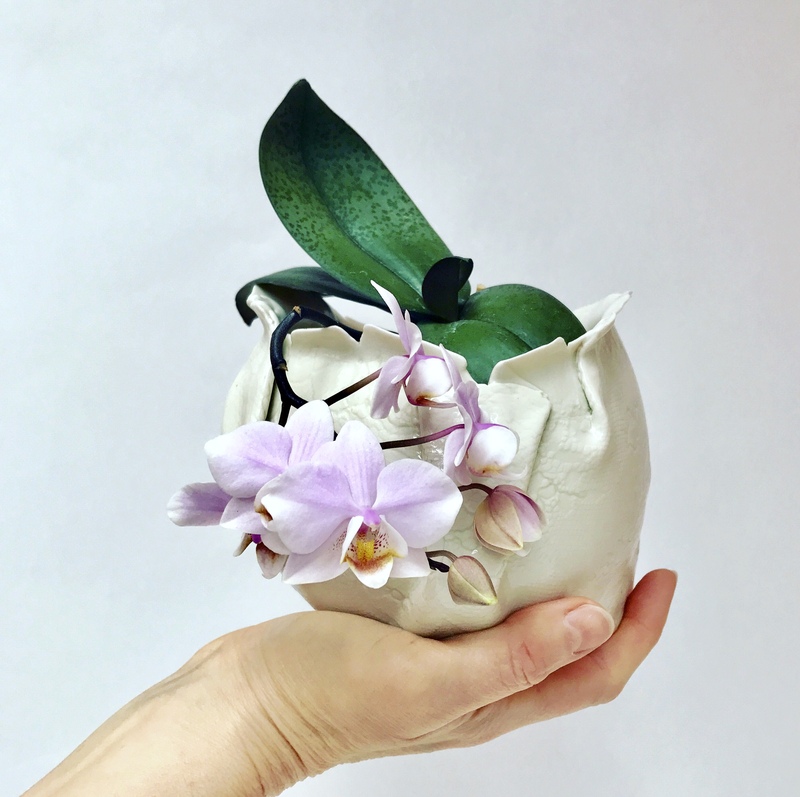 I make each one individually by folding porcelain into organic and free form shapes. 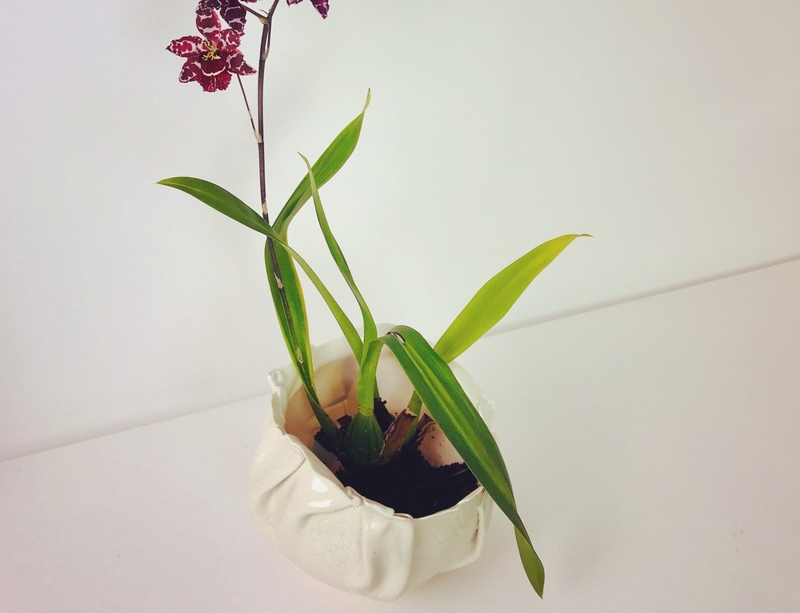 I fire the porcelain to 1260 degrees in the kiln, so completely water tight and durable. 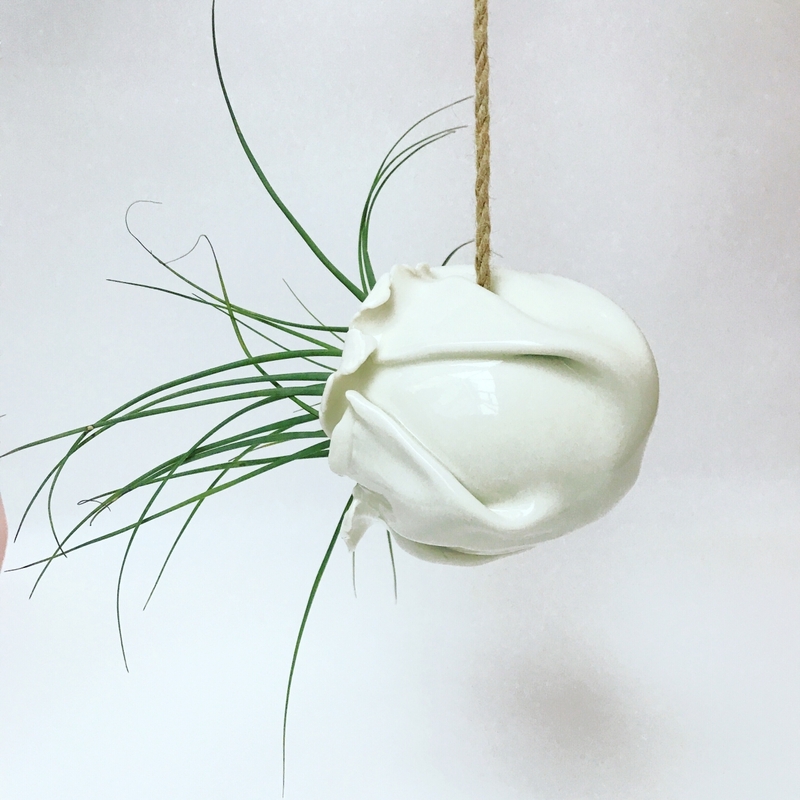 Each porcelain plant nest is similar to the size of a large grapefruit having an approximate dimension of 12x12x12 cm. 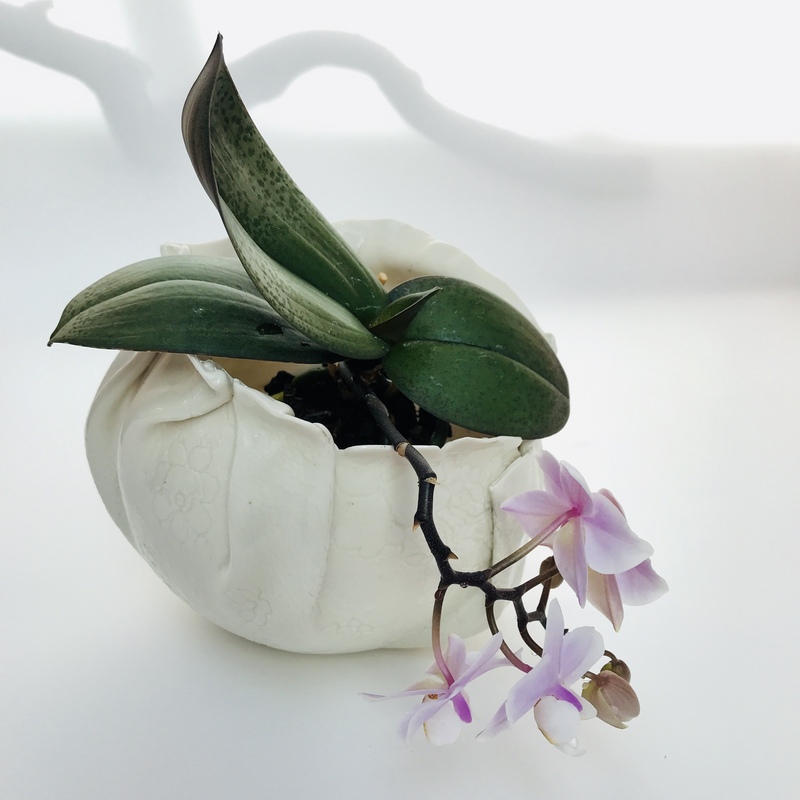 However sizes do vary by 1-2 cm depending on the unique form when it is produced. The thickness is also variable because it is reliant on how the porcelain folds. Some areas will be double thickness and other areas thinner, making the porcelain beautifully transparent when placed in front of a window. The colour, texture and finish are all consistent with the images above. 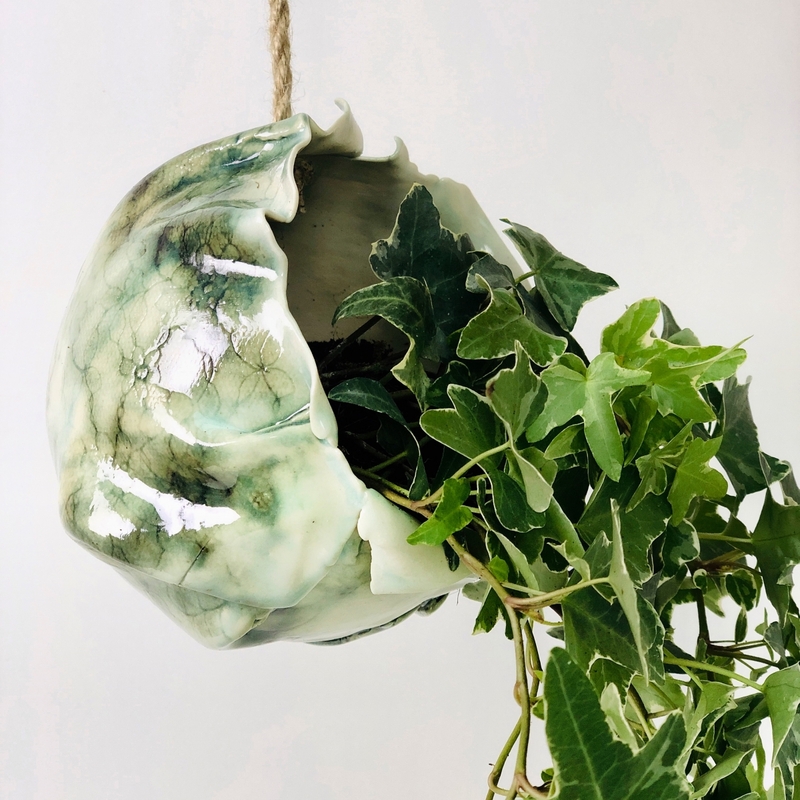 Porcelain Plant Nests with an Embossed Finish are perfect additions to any modern home or plant lover’s abode. They are both minimalist and stylish, capturing peoples’ attention because they are so distinctive. The price includes a presentation gift box. 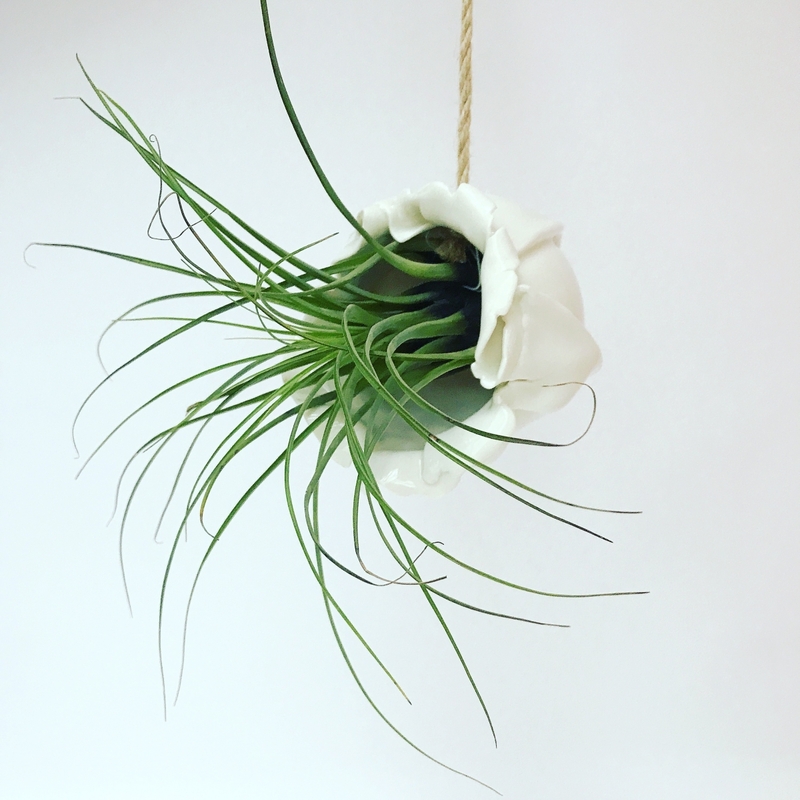 Plants are NOT included but you can purchase one by messaging me before you place your order. 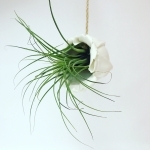 I buy many of my air plants from Brackenwood Plant and Garden centre so if you are local to Bristol you may like to visit. 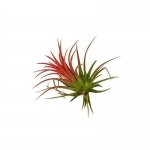 They sell a good selection of air plants and more unusual varieties of houseplants.